Hello cuties ! Sorry for being inactive last few days because i have many assigment for my exams. I am back with a new lens review for you this time. 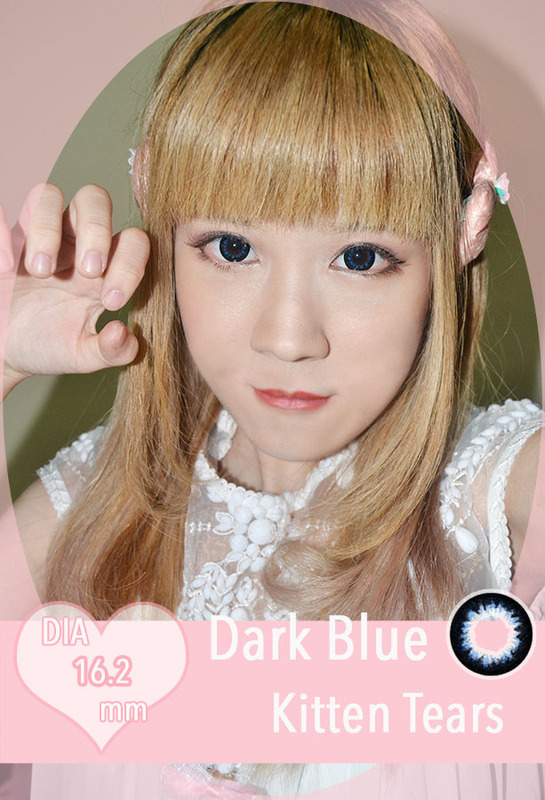 This time, a pair of dark blue lenses from LensVillage. The shipping was quick, my package arrived a lot earlier than I expected ! I really liked the packaging of this lenses because it's look very cute with a kitten illustration and black design . These lenses came in plastic capsules- instead of glass vials and i love it because that easy for me to open the packaging. The color and design is super unique ! The inner design is a dark blue shade that is only really visible under very bright lighting and they have a black ring on its outside. 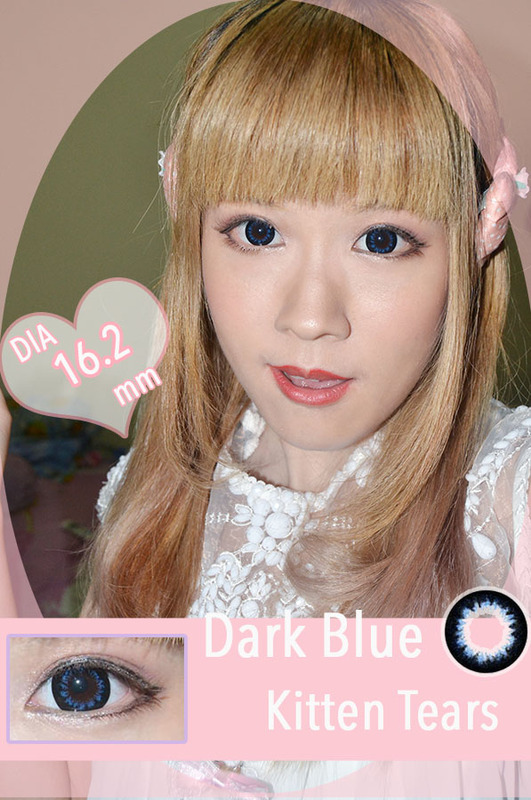 Lenses look super soft and dreamy when worn, perfect for you who desire a dolly but it looks rather natural. Now some pictures of them in my eyes . As expected, these lenses were really comfortable for me. I.Fairy brand is the number 1 for me when it comes to the comfort level and I wasn't disappointed. I have never had any comfort problems with the I.Fairy brand as I said before . Still, I try not to wear them any longer than 8 hours, you should be careful about that too! Even if it's been less than 8 hours and you are feeling uncomfortable, take off the lenses immediately. Very pretty! The lens looks lovely on you! Love the effect of these lenses on you! they look so cute! I never tried eye lenses myself. I love this! These lenses look so great on you~ the color is so nice. Great review! OMG, really really cute. They look best on u .
I love these lenses, very beautiful! 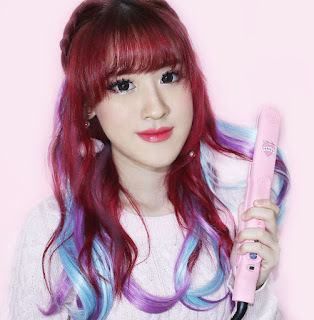 very cute blog, so girly and cute. great post, these lenses are gorgeous. I used to wear geo nudy ones in purple, blue, grey etc.. The blue looks really good. I would love green. I have always wanted green eyes. Interesting! You look super cute!! Wow... I love the result on your eyes!!! Hi love, I followed you. Now your turn to follow back! Im following already. Do you follow back? Oh my God the effect is very pretty your looks like a lovely kitty. Love the lenses, great post ! I followed you, thank you for your comment on my blog, I hope you will follow me too !